I love IKEA! Sometimes their designers come up with products that I can almost swear were created just for me. I came across the RASKOG Kitchen Cart a few weeks ago and I've been giddy ever since. 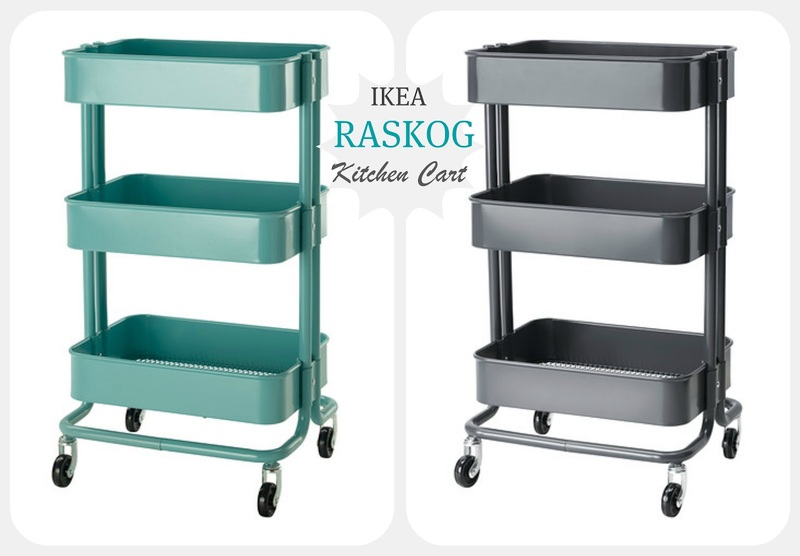 This cart is a cook, bakers, crafters, and organizers dream come true, for only $49.99. Personally I would love one in every room, but I doubt I can come up with a good enough reason for hubby agree. So, I think I'll just stick to one for now. Here in California the gray cart seems to be the only one they have in stock (which I'll take), but I'm hoping that the turquoise cart comes to town soon! What would you use it for?! I saw this at Ikea and I loved it. I hadn't seen it in the aqua though and now I double love it! I really love it too! I think only a few states have it in aqua. Keeping my fingers crossed! They are completely out of stock! I went online to order it a few days ago and got distracted so I didn't hit the complete your order button. Now they are sold out online as well. I need this!! I want to use it in my kitchen as a produce cart!